With disruption imminent in business and our daily lives, knowing how to innovate is crucial for an organisation’s survival. Design Thinking provides a solution-based approach to solving problems. Anagram Group’s 1 Day Innovation & Design Thinking Masterclass is a public workshop customised for the Singapore audience. 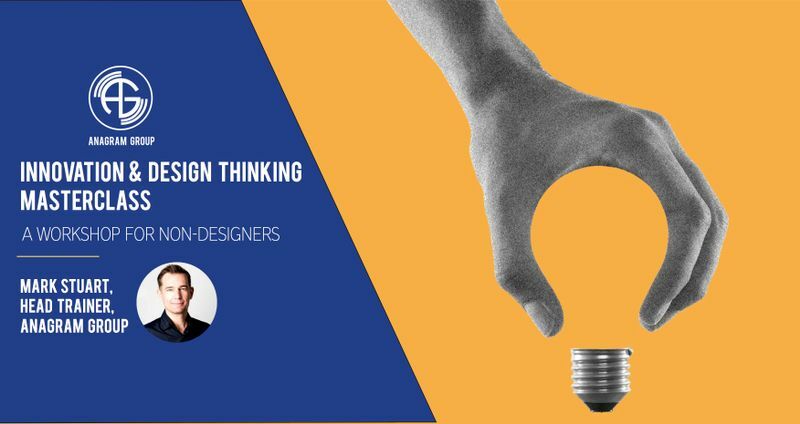 Taught by our Head Trainer Mark Stuart, who trains accelerators and incubators, governments, and MNCs on Innovation, you will learn how to solve problems and challenges through the application of the design thinking framework, and learn how to drive innovation and creativity at work. - What’s holding back innovation in Singapore? - Empathise: Who are the internal communications’ clients? What are their needs? Fun and interactive teambuilding game.